DISTRI-BRANDS supplies fashion accessories from world known brands to luxury retailers all around the world. We have built over time a solid reputation for delivering qualitative products coupled to outstanding services to our customers. We have specialized over the years in the distribution of writing instruments, leather goods and time pieces. Our goal is to offer to our partners a strong and wide distribution network that is consistent with their image and positioning. Our international sales team works, day after day, to identify and to negotiate with key retailers in each and every market. We work hand in hand with our partners to create strong distributions on behalf of the brands that we distribute. Building brands It is vital for us to offer to our partners a distribution that is consistent with the DNA of the brands that we distribute. We study carefully with our partners the trends, the consumers and the competitive environment in order to create a distribution that will contribute to building the brand’s images. We understand clearly the positioning of our brands and we invest in promoting their name to the public in a way that is consistent with their own branding strategy. The company DISTRI-BRANDS has been founded in 2009 in Belgium and started its business offering luxury & fashion writing instruments to best retailers in Belgium and France. Following the initial success of its distribution, the DISTRI-BRANDS management have decided to create a boutique concept called PALIMERA aiming to regroup all its products and brands under one luxury boutique concept. The first PALIMERA store opened in the Middle-East in mid-2010. As from 2011, DISTRI-BRANDS has very quickly increased its development pace by expanding its distribution to new international markets. DISTRI-BRANDS has opened new sales offices and representation in The Netherlands, Italy and Germany. To support its growth, DISTRI-BRANDS has decided to appoint a new general manager, Mr Nicolas Boreque, to manage the new growth & challenges of the company and to keep fuelling its expansion. DISTRI-BRANDS pursued its expansion by opening new sales points in department stores around the world. Directly or with selected partners we started distributing our brands and products at famous locations such as Takashimaya in Singapore, Galeria Inno in Belgium, Kartstadt in Germany and Francis Ferent in Belgium, amongst others. DISTRI-BRANDS was proud to add to its distribution portfolio a new writing instruments range from the famous French house Christian Lacroix. At the same time the company continues to focus on expanding its distribution in Asia, which has become a key market for the brands. Distri-Brands has been appointed to handle HUGO BOSS writing instrument range distribution. HUGO BOSS writing range has met an immediate success since its introduction in January 2015 and we have opened distribution in over 25 countries in the first 12 months. Distri-Brands has kept on expanding its distribution. We are at today active in over 60 countries and we are adding as much as 10 new point of sales every day since the beginning of 2016. 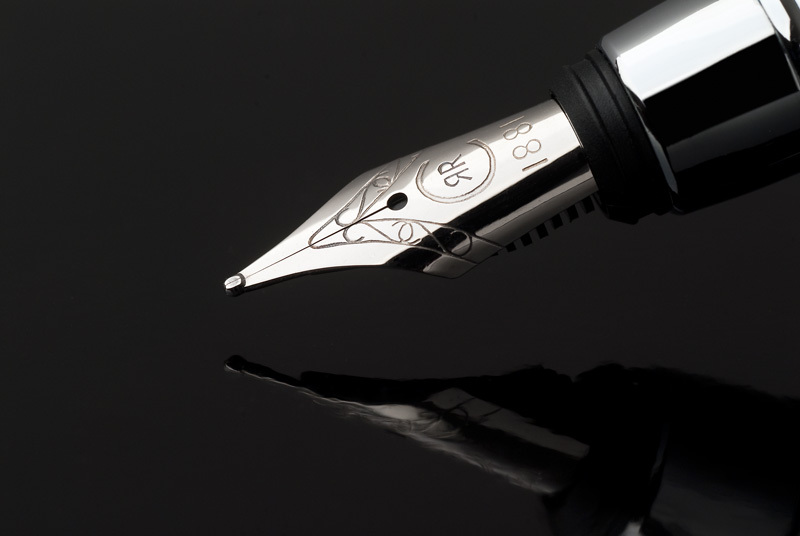 We ambition to become one of the top 3 players within the luxury writing instrument industry. Our market share has been growing very quickly, we are constantly improving our processes to better serve our customer needs. We ambition to become the best & most trusted distribution company in the writing business before 2020. The distributor of your zone will then shortly be in touch with you. We'll transmit it to your local distributor, who'll take contact with your as soon as possible.